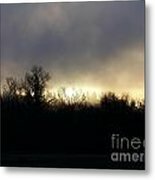 January Sunrise by Erica Hanel - 8.000" x 6.000"
January Sunrise framed print by Erica Hanel. Bring your print to life with hundreds of different frame and mat combinations. Our framed prints are assembled, packaged, and shipped by our expert framing staff and delivered "ready to hang" with pre-attached hanging wire, mounting hooks, and nails. The sun is rising on a freezing winter morning. 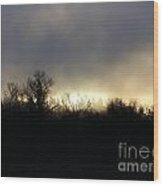 Hi, I am Erica of Christian Sister Imagery located in the beautiful Willamette Valley, Oregon. I have always loved to take pictures; I like to look for something special in every picture I take. I am not a photo journalist, but I love it when I am in the right place at the right time. As a wife and mother that's not as often as I like. I love to spend an early morning out with my husband. 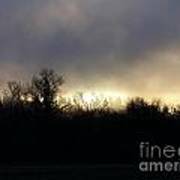 And when that's not possible I switch to Kansas Mode...meaning that there are many times I don't have to look further than my own backyard to showcase God's glory.